These exhibit certain characteristics as: high acid-heat resistance, anti-corrossive, large specific surface area etc. - Sulphuric Acid Towers, Acid Gas absorbers. Owing to our expertise in this field, we are offering a wide assortment of Ceramic Honeycomb to our clients. 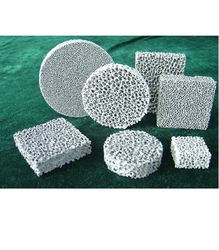 Ceramic honeycomb structures due to their unique configuration generally exhibit very high surface to volume ratio. 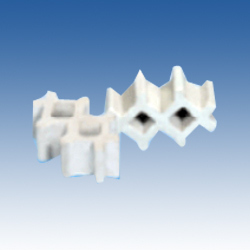 Nimra manufactures honeycombs in different ceramic materials such as cordierite, Mullite, Alumina, Zirconia, etc as per the customers specifications and requirement. The wall thickness can be as small as 0.18 mm and above as per customer requirement.